On October 12, 2016, Queen Maxima of the Netherlands attend a meeting with Argentinian President Mauricio Macri at residence Los Olivos in Buenos Aires, Argentina, Queen Maxima is on an official visit to Argentina, her native country, as special advisor for the UN's Development Programme. 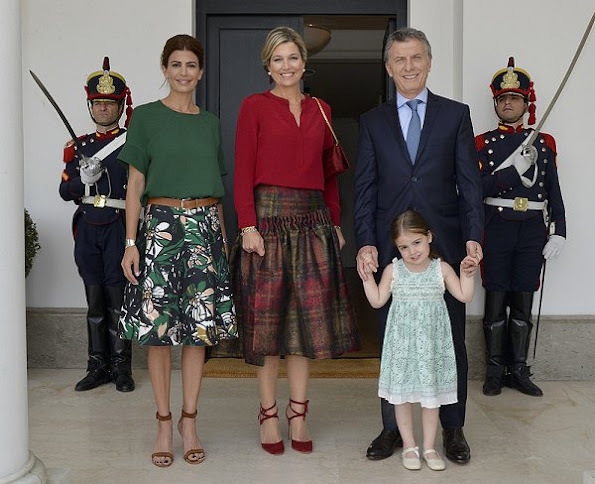 Queen Maxima, Argentina's President Mauricio Macri his wife Juliana Awada and his daughter Antonia, posing after a meeting at Olivos Presidential residence in Olivos, Buenos Aires. No place like home-- even though she is a FABULOUS Dutch Queen! I like the skirt BUT I do not like how it looks like an extra piece was attached to the front? It looks odd. Cuts her off at a weird angle. If it had been just a simple skirt without the 'look we have material over so lets just sew on the front at a odd angle and bunch it up" it would be much better. LOVE THE SHOES & THE HAIR. Beautiful color and style of shirt , good shoes to that outfit but absolutely dont like the skirt. Well dressed and very attractive President's wife. Worst outfit ever! The blouse, the shoes, and especially the skirt! AWFUL. At least her hair looks good. La jupe est trés bien pour ranger ses clefs,son maquillage.Qui peut faire une telle horreur ? Je me demande a quoi elle a pense pour porter une telle horreur. 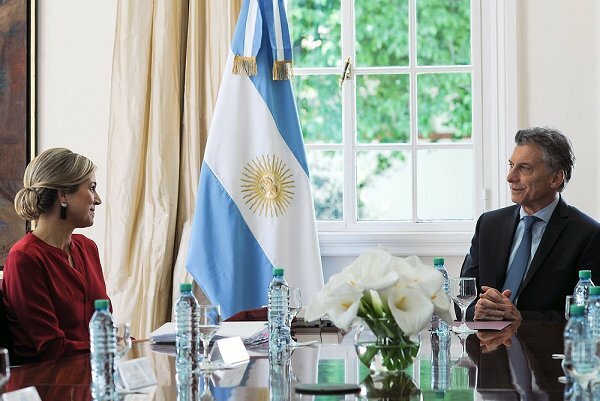 La jupe de Madame Awada est franchement laide aussi. She is such a jewel in Dutch court. It is completely indifferent what she is wearing when that big smile lightens the room. 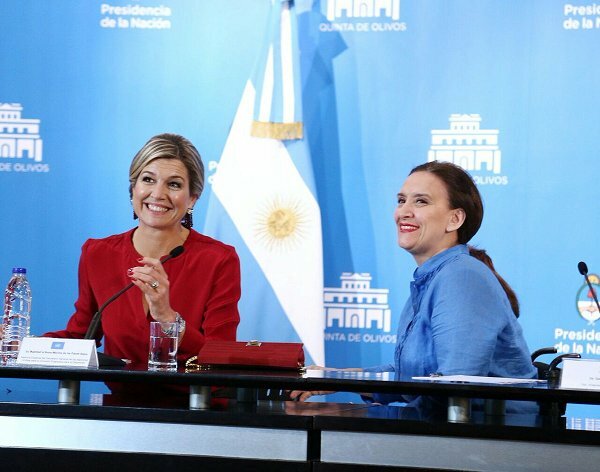 Argentina's First Lady is just stunning! What a gorgeous woman, so effortlessly chic! 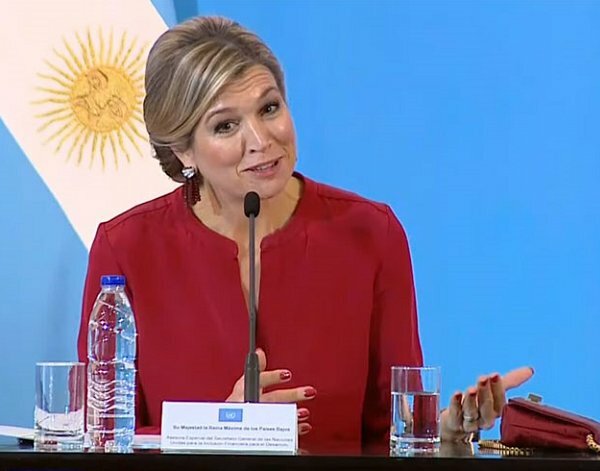 For the first time somebody outshines Queen Maxima. Juliana Awada is so beautiful and classy! Juliana Awada is from Lebanon and was model. Juliana Awada is an Argentine businesswoman and philanthropist of Lebanese and Syrian descent. But her skirt is awful. Beautiful updo and I love this earring of hers. I think the blouse is nice too. I don't like the skirt. 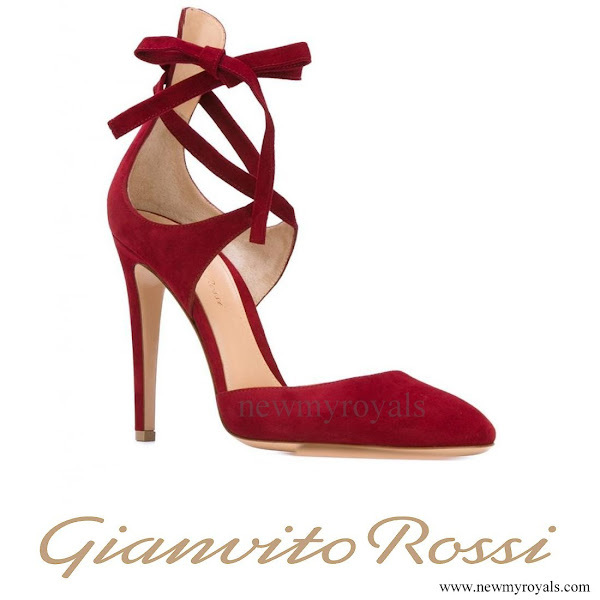 What is that ruched front part sewn on in a tilted way? With the check print it's just too much. Skirt would be nice just plain straight with that tartan fabric design. a curvaceous, georgous, elegant queen, with a killer smile, and a work record that is impressive, well done maxima!!!! Very nice to see Maxima so full of energy and joy during the visit of het homeland. Very nice pictures!